Countries like Greece excepted, most Euro area government bonds are stable and as safe as money. 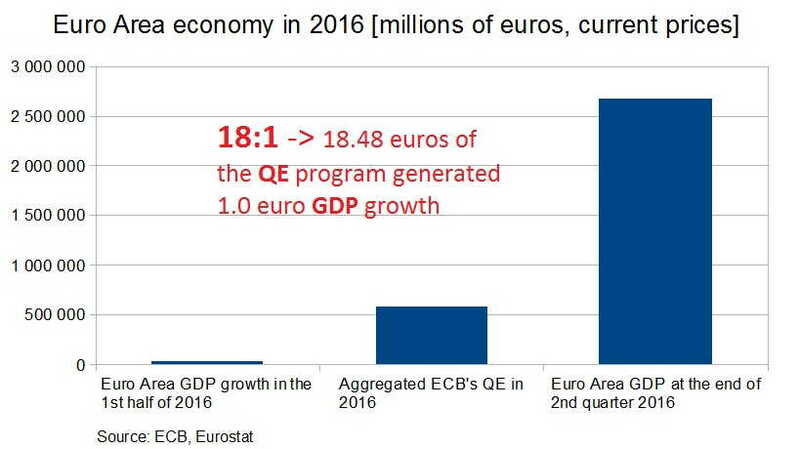 From the ECB’s point of view QE means swapping government bonds for money in the hands of the general public. Since the two assets are already very similar, each nominal Euro of assets swapped in this way, will only have a small impact. But that’s OK. You can’t argue that there’s any waste here, especially not by a simple subtraction of GDP and QE amounts. Printing money is essentially free (‘ink’ is cheap), the only limit is overheating the economy and causing too much inflation. As you noticed, we are far from that limit. You express the MMT view, and we see MMT as a credible theory. In the European situation, there are some big problems with this theory. 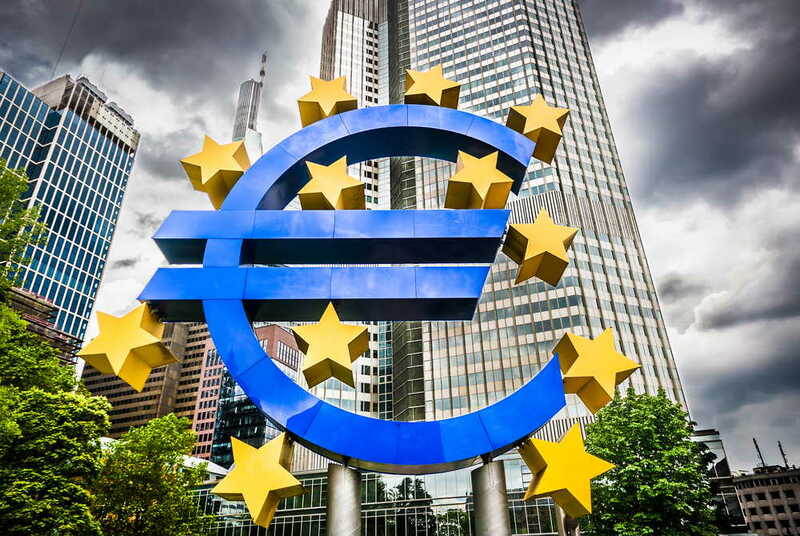 The ECB QE program is not limited to government bonds. We wrote about it in our periodical. How do large companies fit in MMT now the European Central Bank swaps corporate bonds for money? What is the role of enterprises in the process of money creation? Are large corporations another form of sovereignty, now the the ECB is buying their debt obligations and they can borrow with negative yields? Printing Money has an effect on the redistribution of wealth. Now the ECB is buying enterprise bonds it gives an 5 to 6% financing advance to large enterprises above small and medium size enterprises. Companies like Shell can borrow at negative rates and use the money to mob up small companies. The ECB policy gives also an advantage to mortgage owners above people who have to rent an house. We explained it in our periodical , but you can do the math yourself. If you are eligible (income check) for a 300K mortgage you pay less than a person who rent a house. 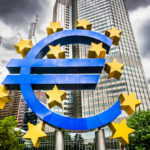 ECB policy == politics and it should have political oversight! The Italian bonds are as credible as the German ones as long as the Euro and ECB exists. If there is a moment of reckoning, it will turn out these bonds are less credible. The situation is unsustainable as Germany grows much faster than Italy, Spain and Portugal. The Italian debt has to be monetized but the Germans would not allow it. Renzi (italian prime minister) biggest dream is a collapse of Deutsche Bank. That is the state of the Union! The situation in Europe is very critical. People with money are moving their assets to Swiss, for a reason. The “multicultural” society shows cracks and countries as Hungarian and Poland start to rebel. Read also our article on the Balkan, the situation is very serious.